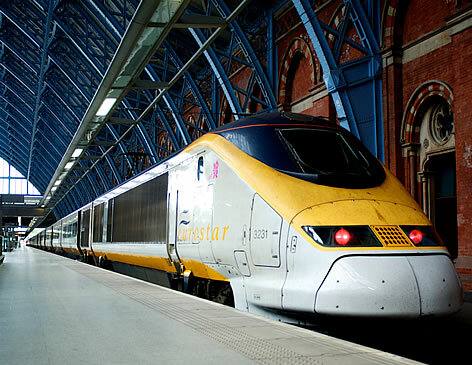 The Eurostar stops at St. Pancras station, very close to Kings Cross. Catch the tube or bus from there. Use London City Airport or Biggin Hill.